Fill out our contact form, or call 800-715-8781 now for urgent garage door repairs or garage door service requests! Since 1986, Texas Overhead Door has serviced and repaired thousands of residential garage doors in the Fort Worth metro area. 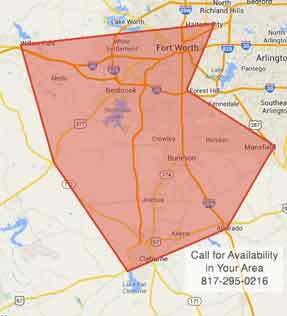 Our residential service area includes Willow Park, Cleburne, Mansfield and more. Is your garage door opener or LiftMaster garage door opener not working properly? Call us today! We may be able to troubleshoot and solve your problem over the phone, with no need for a technician! If the issue appears more complicated, we’ll send one of our trained professionals over and have your garaged door repaired and operational in a jiffy. Scheduling annual garage door service and garage opener tune-ups will prevent any surprises when it comes to the proper working door. Our technicians are quick, reliable, and trustworthy – just check out our testimonials page! We do all our work while maintaining honesty, integrity, customer satisfaction, and safety, from the largest to the smallest garage door maintenance jobs. 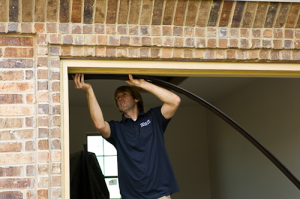 If you have a garage door repair job and you want it done quickly and thoroughly, contact Texas Overhead Door! Texas Overhead Door also offers new Garage Doors, Garage Door Installation, Garage Door Replacement, and on-going Garage Door Maintenance services. Commercial serving Texas, Louisiana, Oklahoma.